Spectacular 2 bed 2.5 bathroom condo at "The Hammonds". Fabulous unit with open floor plan, an abundance of natural light, high ceilings, crown molding, superior finishes & beautiful views of adjacent Soule Park. From the lovely entry foyer, the entertainment sized open living /dining room, has a gas fireplace. There is a separate den/office with custom built in cabinetry. The renovated fully equipped kitchen has granite counters, stainless steel appliances & ample cabinet storage. The luxurious master suite has a four piece bathroom, featuring dual sinks, jacuzzi tub & glass enclosed shower stall. The closets have been custom fitted. The 2nd generously sized bedroom offers an en-suite bathroom. There is also a half bath & in-unit laundry. 2 garage parking spaces & additional storage with direct access to the building. There is also an elevator in the building. New roof installed in 2018. 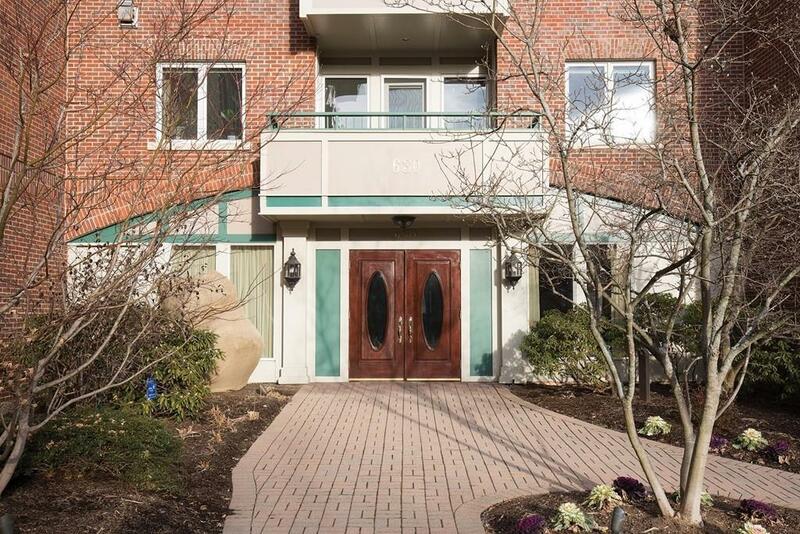 Located close to Chestnut Hill shopping area, MBTA & bus routes, restaurants & movie theater. Selling Office: Coldwell Banker Residential Brokerage - Newton - Centre St.